What makes The Colonial Cabinet Shop better than most others? 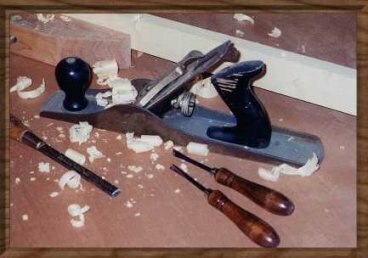 Experience, Quality and Craftsmanship  Mike's interest in woodworking started at a young age in his grandfather's shop. He has been building custom cabinets since 1987, and has also worked for a prominent cabinet shop in the Atlanta area. Many years of challenging projects have taught him the skills and dexterity that have helped him attain a high level of excellence. Mike is dedicated to continually expanding his knowledge and skills of the craft in order to serve you better. Materials  Only the finest, select hardwoods and furniture-grade plywoods are used to construct our projects. No particleboard, melamine, or MDF at this shop! Attention to Details  Mike has a keen sense for taking a closer look than most do, even at the smallest details such as book-matching grain patterns, accuracy in measuring, precise fitting of all joints, eliminating sanding scratches and tool marks, and rubbing out a finish until it's perfect. His motto is "If it's worth doing, it's worth doing well." Variety and Selection  The Colonial Cabinet Shop can make just about anything your imagination can come up with. We dont limit ourselves to only a few stock-made items. Most of our projects are totally unique and built to last forever! Customer Service and Satisfaction  We listen to you and incorporate your wants and ideas into the design of every project, no matter the size or complexity. We involve you in the planning of your custom piece in order to achieve your complete satisfaction upon the delivery of your piece to your home. If you ever have any questions, were just a phone call away. 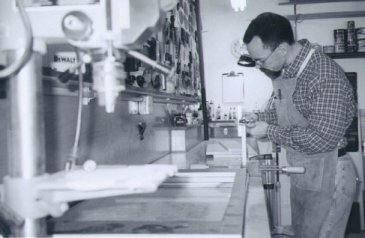 Mike Doerner, owner of The Colonial Cabinet Shop, can trace his woodworking roots all the way back to 1689, in Germany. The generations since have produced carpenters, boatbuilders, wheelwrights, and carriage-makers, as well as preachers and soldiers. Mike has a strong passion for tradition, which is evident in his work. This tradition is in Mike's blood, with one brother restoring 19th century houses in San Francisco, and another brother hand-building traditional gondola canal boats in Venice, Italy. Mike is proud to carry-on the ancestral trade by offering Specialty Cabinets and Fine Woodworking; which includes case-work furniture, mantelpieces, desks and unique items. 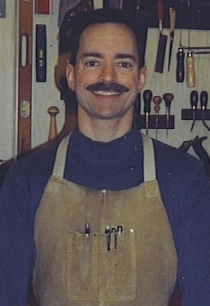 Mike incorporates old world hand tools and craftsmanship with modern machines and techniques to produce high quality at affordable prices.